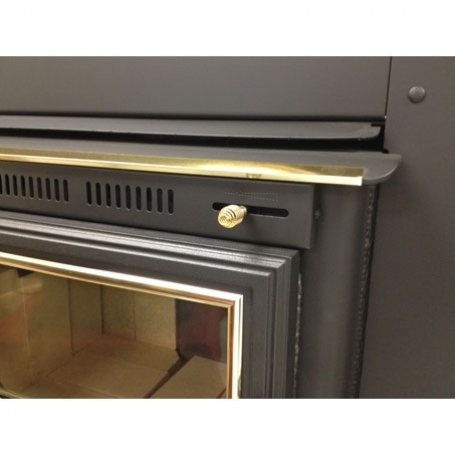 For Masonry, Direct Connect fireplace installation only. We highly recommend professional installation. Trim package may vary by store. 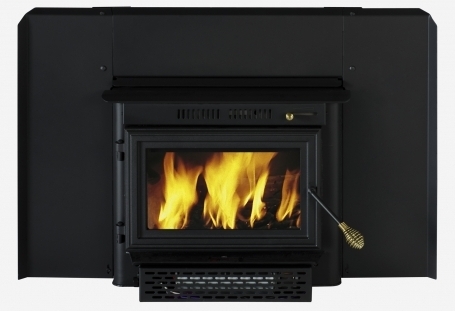 Door Opening Size: 8 1/2" x 16"
This fireplace is the perfect transition for your existing space. 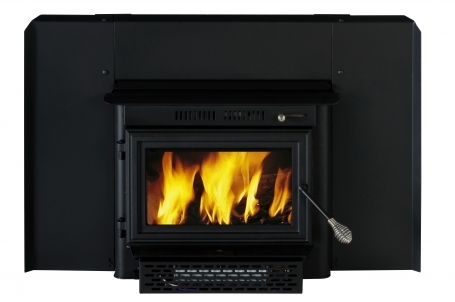 Simply place the England Stove Works Summers heat wood burning fireplace into your existing 14 inches of hearth space, place the 18 inch logs within the stove and feel the warmth scatter around your room. 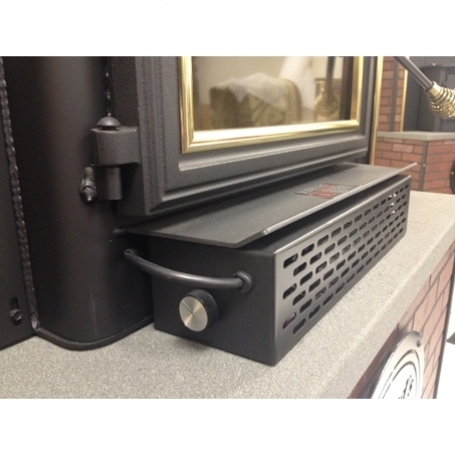 This stove was designed for a space up to 1,500 square feet. Featuring large glass front doors, you can watch your flames dance around and roar with the beautiful orange glow of a roaring fire. The satin black exterior is guaranteed to blend, seamlessly, into anyone's living space. 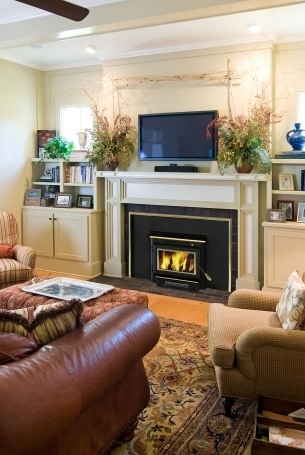 Feel the warmth of this wood burning stove in your home. I have an 8 inch flexible pipe in the chimney. Will this insert work with what i have or do i need to change it to a 6 inch? 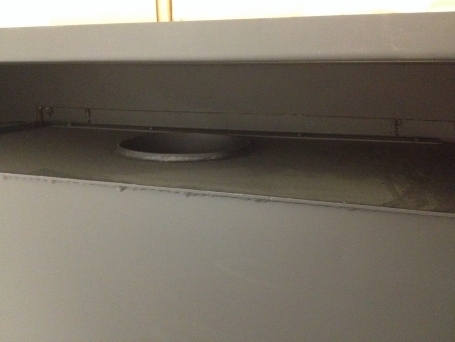 For this insert, you will need to change over to a 6" liner. 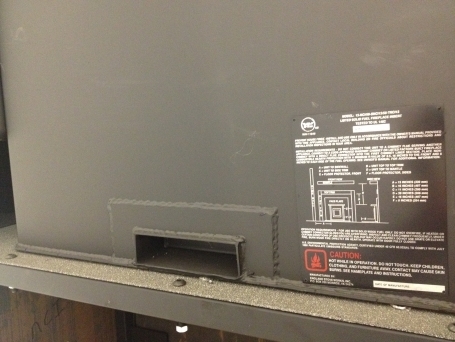 The measurements are 27 1/2" W x 21 1/2" H x 24" D.
How wide is the flashing? The flashing is 43" wide. What is the size of the fire box? The firebox size is 1.8 cubic feet. What is meant by "non-catalytic" firebox? This simply means that a catalytic combustor is not used. What are the exact dimensions of the unit that goes into the fireplace opening (width, depth, height)? 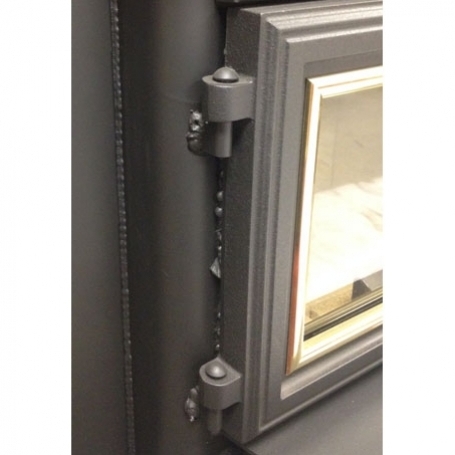 Please note that this cannot be installed inside any prefabricated fireplaces and may only be installed in an existing masonry fireplace opening, the minimum hearth opening requirements are found on page 4 of this installation manual. 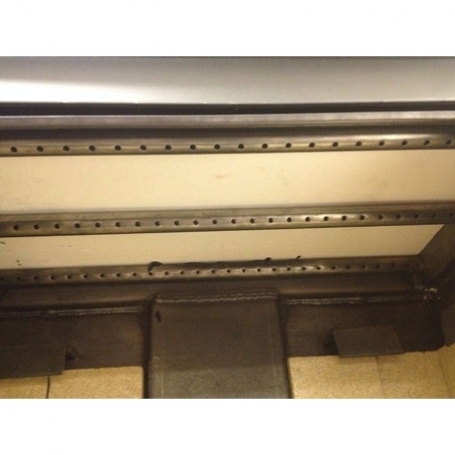 The unit itself measures 25 1/4 inches wide, 22 inches high, and 20 1/2 inches deep. The flashing measures 30 inches high and 43 inches wide. This insert is everything they say and the firebox is bigger than expected. Burn time is accurate, I would highly recommend this product.